I’ve mentioned that I LOVE to make (eat and share) Bean and Grain Bowls; I’ve said it often enough I assume you know what I mean but in case you don’t allow me to explain. I try to have at least one type of grain and one type of bean cooked and in the fridge at all times. It doesn’t always happen but it is a goal none the less. I keep a few cans of beans in the pantry too. I recently had a lunch meeting where lunch was being provided, I didn’t know what would be served but I was certain I wouldn’t be able to eat it. As I was rushing to get ready I stopped and put some cooked quinoa, some rinsed black beans (from a can) and a few tablespoons of salsa in a container. I didn’t even taste test it. Once I got to the meeting pizza was being served. 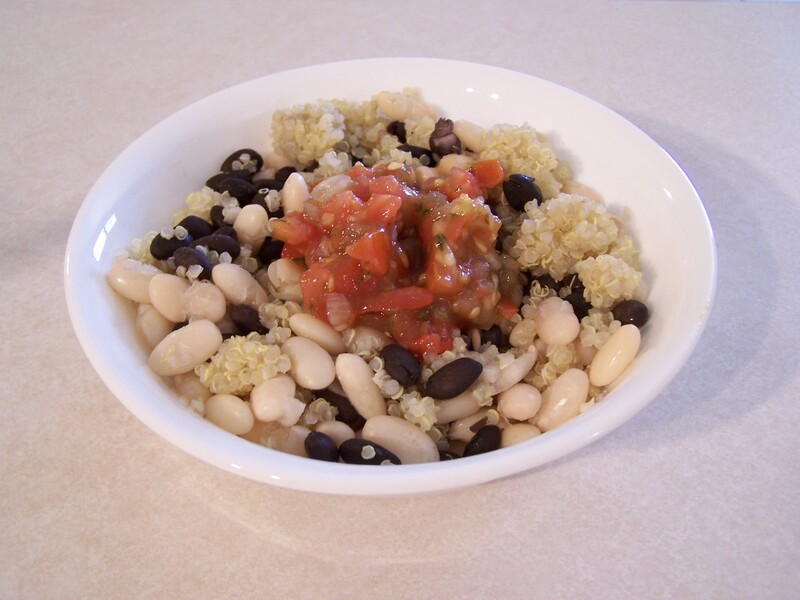 A friend of mine, who is working toward a Plant-Based diet, was there too; I gave her a taste of my quinoa and bean bowl and she LOOOVED it! She went out and bought the ingredients and made it for her family. You don’t have to use quinoa and black beans AND it doesn’t have to be in a bowl. 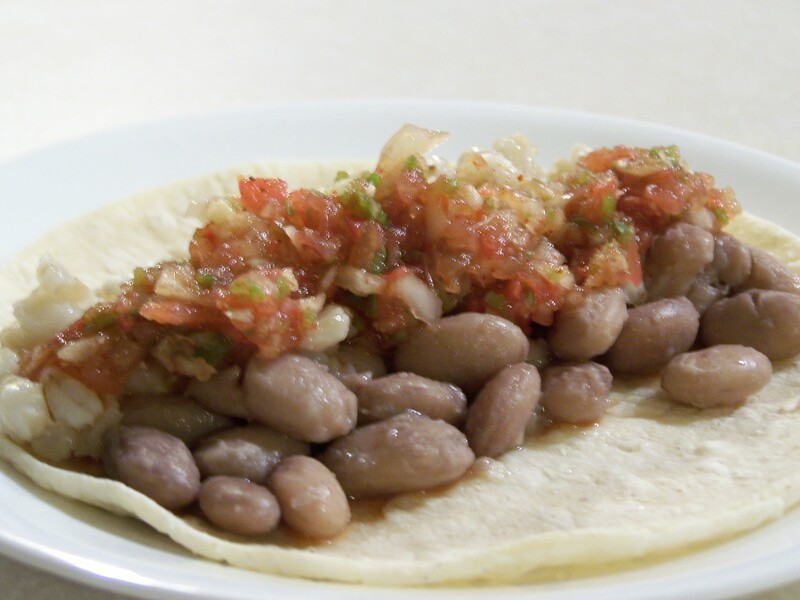 This was made with cooked Barley (not gluten free), pinto beans, and homemade salsa served on a corn tortilla (pictured above). It was very tasty as well. 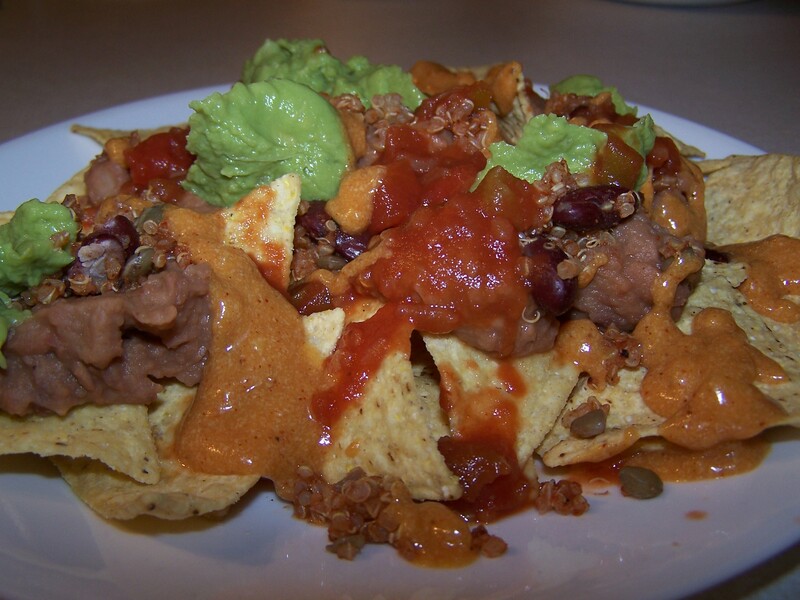 If you are looking for maximum “comfort food” taste without the guilt you can make these nachos, pictured below, using a grain that has been seasoned with Mexican spices. I like to use my homemade taco seasoning, Chili Powder, Garlic Powder, and Onion Powder, sometimes I’ll add cumin and tomato sauce. Brown rice, chickpea’s and steamed veggies make a great bowl as well, if you’re looking for more flavor add in your favorite Asian inspired sauce. Yesterday I even mixed up some beans and grains that stuffed them into bell peppers then stuck them on the grill. One pepper contained my usual quinoa and black beans with corn, diced tomatoes, and jalapenos; but the other was quinoa and lentils. So let your imagination run wild, as wild as beans and grains can get. Maybe try a different grain every week. I use quinoa a lot but millet and amaranth are also good options. Some grains like Rye, Wheat, and Barley naturally contain gluten so if you are gluten free you may want to do a little research before trying them.